A research team at the University of Ottawa Heart Institute led by biochemist Yves Marcel, PhD, Director of the Heart Institute’s High-Density Lipoprotein (HDL) Biology Laboratory, has discovered a new function for a known cellular pathway: mobilization and exportation of cholesterol from cells. The newly discovered function is part of an ancient pathway called autophagy, which developed early in the evolutionary process in single-cell organisms. Fatty deposits containing surplus cholesterol form along artery walls. Called plaques, these deposits cause blockages and reduce blood flow in a condition known as atherosclerosis. “We have an urgent need to understand how cholesterol accumulation in the arteries can be reversed,” said Mireille Ouimet, a graduate student in Marcel’s laboratory and major contributor to the finding. The Heart Institute research showed that autophagy can engulf and digest cholesterol accumulated in artery walls. 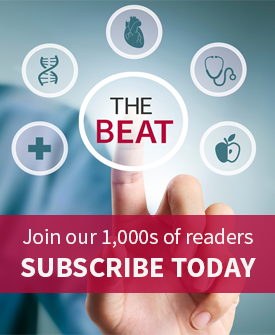 “This process facilitates the removal of cholesterol and may provide an entirely new target to reverse atherosclerosis, the main cause of heart attack and stroke,” said Marcel. Details of the research were published online recently in the journal Cell Metabolism (2011; 13:655-67). The study illustrates how cholesterol buildup itself triggers autophagy, which then helps in the breakdown of fat droplets and transport of the digested cholesterol to the liver for elimination from the body. “Given that this pathway promotes cholesterol clearance with the result of reducing the risk of heart disease, our finding provides new opportunities for the potential reversal of atherosclerosis,” explained Marcel. It is possible that some patients with CAD have an impaired ability to clear arterial cholesterol by the autophagy pathway, he added. (Click to enlarge) Heart Institute researchers have found that the autophagy process, known as a mechanism for processing waste in cells, is also an unrecognized mechanism for clearing cholesterol from artery walls. This process offers a potential target for new drugs that could enhance cholesterol removal. Autophagy was already known to play a role in recycling toxic elements from cells and in promoting cell survival during starvation. The term is derived from an ancient Greek phrase that roughly translates as “to eat oneself.” In the autophagic process, a membrane forms around the molecules in the cell targeted for breakdown, and the newly enclosed molecules are delivered to a cell’s lysosomes—structures that digest molecules into their basic components. “This is a pathway that’s been known for a long time, a pathway that is central to the life of cells in general. Here, we’ve found a new application for that pathway that was not understood before,” continued Marcel. Interestingly, although the study demonstrated a triggering of autophagy from a mild buildup of cholesterol, chronic exposure to excess lipids may actually overload the process. It will be important for future research to unravel whether this happens in the human body as atherosclerosis develops—whether long-term buildup of cholesterol can overtax this natural breakdown system. If so, targeting the pathway might be more useful in preventive medicine rather than when the disease is firmly established, explained Marcel. Alternately, drugs might be discovered that could override the inhibition of autophagy in advanced coronary artery disease, he added. Some drugs already being tested for the treatment of heart disease may help activate autophagy by repressing a protein identified in Marcel’s study. The current study lends a greater understanding to the underlying biochemical complexities involving cholesterol. Cholesterol is important to cell structure, but problems arise when too much cholesterol is deposited inside the walls of the coronary artery—the origins of coronary artery disease. Marcel’s research career has focused on lipoproteins—the biochemical mechanisms that transport cholesterol and fats through the body. In 1997, he received the highest medal of honour by the Royal Society of Canada for his contribution to medical science, including earlier research related to the pathway for polyunsaturated fatty acids. This was the McLaughlin Medal, considered one of the country’s most esteemed tributes for research excellence. Controlled activation of autophagy could be a promising new therapeutic target for the prevention and, potentially, reversal of atherosclerosis, said Marcel, but work now needs to be done to better understand how the process works in the human body over time.